Are you looking to spice up one of your weekends by visiting a brewery in Wisconsin? Then you have come to the right place. Regardless of whether you are a beer connoisseur or a simple beer lover, you will find that the Minhas Craft Brewery has everything that you are looking for in a brewery, and more. 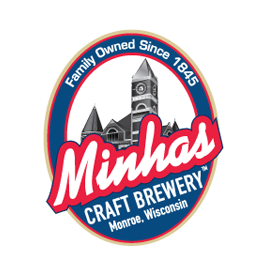 One of the oldest breweries in America, the Minhas Craft Brewery’s history is as long as it is fascinating. We have been operating for over a century (yes, that’s a 100 years), and during this time we have been able to make a name for ourselves as one of the best breweries in Wisconsin. Our craft beers constantly attract the attention of visitors and locals alike. If you’ve never been fortunate enough to try craft beer, then now might be the time to change this. Located in Monroe, the Swiss Capital of the USA (about one hour away from Madison), our micro brewery tour is constantly ranked as the best brewery tour in the state Wisconsin. If you are interested to see the behind-the-scenes of a brewery or to learn more about our history, come pay us a visit one of these days. Tour tickets are only $10 and yes, it includes awesome free samples! For more information, we recommend that you take the time to browse through our website. You’ll learn more about the tour and our products as well. You might also be interested in reading some reviews of our tour online — a simple search into Google should be able to provide you with some! Wisconsin Craft Beer: What Is An IPA Beer?